Founded in 1959 as SEATO Graduate School of Engineering with a mission to develop highly qualified and committed professionals who will play a leading role in the sustainable development of the region and its integration into the global economy, it receives funding from organizations and governments around the world (initially from SEATO members). 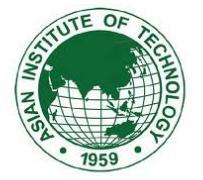 It is quoted as “an excellent example of not only the initiative and organization of a technical university, but also of the success of a foreign aid program”.In 2006, AIT claimed that it “has become a leading regional post-graduate institute and is actively working with public and private sector partners throughout the region and with some of the top universities in the world”. (See note presented at the Asia Commons conference, Bangkok, June 2006.) It also sees itself as being “recognized for its multinational, multi-cultural ethos.” AIT celebrated its golden jubilee in 2009.